Why is it called GNU Photo? gphoto has been decommissioned; this page remains for historical purposes. For current photo support, we recommend gphoto2, which is an independently developed free software program not officially part of GNU (despite the name). GNU Photo is free software for retrieving, organizing, web-authoring and storing images in various graphics file formats, or for display directly to a monitor from a range of supported digital still cameras. GNU Photo is endorsed by and part of the GNU Project. 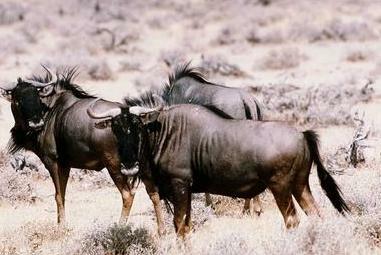 The entire GNU Photo tree is licensed under the GNU General Public License. In order to help enforce this policy, make sure that all of the camera libraries and utility code that you submit for inclusion in GNU Photo have a clearly stated license and copyright owner. If you are an active maintainer of a GNU Photo library, you could have an account on GNU machines. Contact accounts@gnu.org, if you don't have one. Supported:	Someone is paid to look after this. Maintained:	Someone looks after it. much other than throw the odd patch in. See below. The current version number is 0.5.8-pre. See the software page for information on obtaining GNU Photo, GNOME and other GNU software. Send mail to <gphoto-subscribe at gphoto dot org> to subscribe. Send mail to <gphoto-unsubscribe at gphoto dot org> to unsubscribe. Send mail to <gphoto-devel-subscribe at gphoto dot org> to subscribe. Send mail to <gphoto-devel-unsubscribe at gphoto dot org> to unsubscribe. To get in touch with the maintainers of GNU Photo, either to report a bug or to contribute fixes or improvements, send mail to <gphoto-maint at bugzilla.gnome.org>. Remove imlib dependency, use gdk-pixbuf instead. Followup and fix bugs reported to bugs.gnome.org. Extend GNU Photo by developing plugins and ability to install plugins in sub-menus. Provide various zooming levels (1:32 to 32:1) and scrolling images. Create rectangular, elliptical or irregular regions of interest (ROIs). Draw, fill, clear, filter or measure ROIs. Transfer a ROI (an ROI?) to another image.